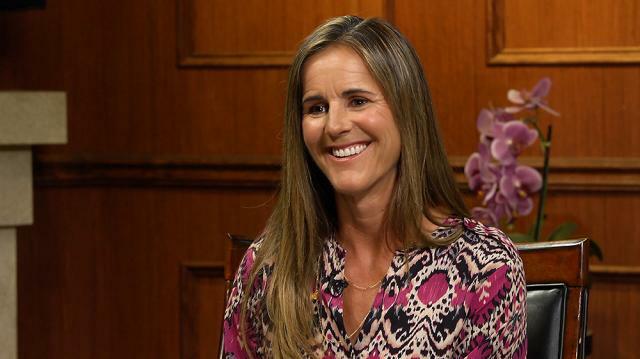 More from Ora: If You Only Knew: Sheila E.
Brandi Chastain plays a round of ‘If You Only Knew,’ opening up about her proudest accomplishments, her biggest pet peeves, and best piece of advice she's ever received. King: Ok, let's play a little game of "If You Only Knew." King: Toughest team you competed against? King: Most underrated soccer player ever? King: Member of team USA who will emerge as the star of the Olympics? Chastain: Julie Johnson and Mallory Pugh. I had to give two, sorry. Chastain: Scoring a goal with my left foot. I think I was ten years old against the San Jose Rovers at Steinbeck Park. King: If not soccer, then what? King: Toughest defender you ever faced? Chastain: Probably Joy Fawcett from the U.S. Women's National team. King: The most nervous you got before a game? Cup. My first time the coach said you're gonna go into the World Cup, I thought I was gonna throw up. Yeah. Haha. King: Feeling you had during the national anthem after your first gold medal? King: Best piece of advice you ever got? Chastain: My grandfather, he used to give me a dollar when I scored a goal, but a dollar-fifty when I made an assist. It was better to give than receive. Chastain: Oh, young men wearing sports bras. King: Toughest crowd you ever faced? Chastain: In Brazil, they are- that's a tough crowd. King: Favorite stadium you ever played in? Chastain: Oh gosh the Rose Bowl. King: Something you know now that you wish you knew earlier in your career? Chastain: That fitness does make a difference in the outcome, and that nutrition really can – can change the way you play.